We provide litigation expertise for civil cases wherever the action is pending in Florida at both the state and federal level. Several of our lawyers have conducted trials and appeals by special admission in numerous other jurisdictions as well. We have the depth of experience and requisite support staff to take any case to trial if this best serves our client but also the keen sense of risk management to resolve the dispute from a position of strength based on targeted case preparation. The overriding focus is a well-prepared, thorough yet cost-conscious repre-sentation of each of our clients on a personalized basis, mindful of their goals and their budget. Our attorneys have litigated a wide range of legal problems including computer software contract disputes; trademark/trade dress infringement; dissolutions; partnership buy-outs; tortious interference; real estate disputes; products liability; personal injury and wrongful death; "sick building" respiratory injuries; construction defects and building collapse lawsuits; medical and legal malpractice; insurance coverage disputes, both first and third party; pool drownings; premises liability; negligent security assaults and shootings; boating accidents; shopping center /store trip and falls; homeowners' property damage claims; commercial and personal auto accidents; libel/defamation suits; HOA/Condo Association management disputes; and, many other types of cases. Interim case reporting at each key phase of the action is a standard operating procedure along with litigation management budgeting in whatever format preferred by the client. 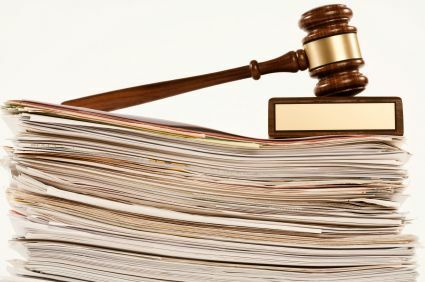 Our attorneys have battle-tested experience in discovery techniques to be utilized throughout the litigation process to maximize the client's position. Wherever possible and prudent for the conduct of the proceedings, one attorney will handle all key substantive matters in the case from beginning to end. All cases are closely managed without overlap or double billing by the head of the firm to assure the highest attention to detail and agreed goals throughout the course of the litigation. Use of outside vendors for records production, court reporter, translator and videotaping services or other support are handled at the lowest available costs, all key cost items pre-approved by the client. All attorneys in our firm have routinely appeared in Courts throughout the state, our representation consistently less expensive for our clientele than retainer of local firms in the particular venue even with travel as an added cost. We promise the highest degree of professionalism and take great pride in the respect we have earned from not only the trial and appellate judges but from our opponents as well. Though small in size, we have successfully litigated high profile cases.